UMS `n JIP haben seit 2007 über 250 Auftragswerke und 1000 Konzerte in über 40 Ländern gespielt, und dabei einzelne Werke – und dies ist für Neue Musik weltweit einmalig – über 100 Mal performt: dank dieser Kompromisslosigkeit ist die künstlerische Qualität ihrer Arbeit selbstredend. 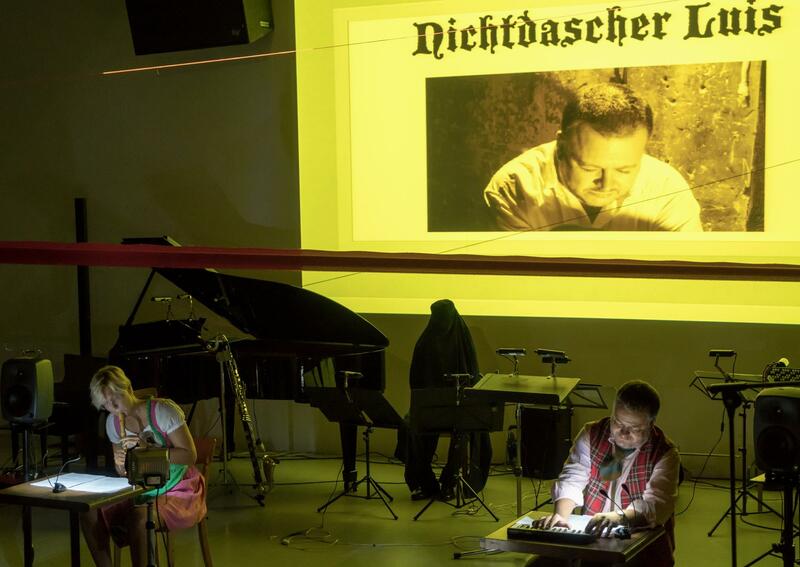 Im Fokus des Duos stehen vielfach Musiktheater und Intermediales, aber auch Reinterpretationen klassischer Gattungen wie das Kunstlied, welches im ausgehenden 18.Jh. entstand und im frühen 20.Jh. eine letzte Hochblüte erlebte. Raffinesse auf kompositorischer wie textlicher Ebene sowie die Symbiose beider sind eine besondere Herausforderung des Kunstliedes. Die studienbedingte persönliche Affinität sowie die besondere Anlage des Duos (Stimme, Blockflöten und Elektronik) bieten ein noch kaum ausgeschöpftes Terrain für eine besondere Annäherung an diese Gattung. Zum Zuge kommen dabei eigene Arbeiten sowie Werke der Schweizer Mathias Steinauer, Christophe Schiess und Paul Clift. Alle sind sie seit Jahren Weggefährten des Ensembles und bestens mit ihrer Arbeit vertraut, so dass die Werkaufträge eine logische Folge der bereits begangenen Arbeit ist. Domaine Forget, IMPULS, June in Buffalo, MATRIX, Internationale Sommerakademie der MDW & Darmstadt Ferienkursen. of With my limbs in the dark, composed in collaboration with choreographer Alban Richard & Ensemble l'Instant Donné. Basel and at IRCAM (2014-15). Paul is the Artistic-Director of neuverBand, a new-music chamber ensemble based in Basel. Christophe Schiess (*1974) a accompli sa scolarité à Reconvilier et à Bienne (maturité scientifique au Gymnase français). Enfant, il prend des cours de flûte à bec, de violon et de piano. Dans son adolescence, des musiciens tels que Martin Christ (composition) et Philippe Krüttli (Gymnase français de Bienne) lui donnent des impulsions déterminantes. En 1998, il reçoit le prix de composition de la commission de musique du canton de Berne pour sa pièce J'ai soif. Suite à des études d'agronomie et après avoir travaillé dans ce domaine, il entame en 2004 des études de pédagogie musicale et de direction chorale au conservatoire de Bâle. Il y travaille notamment la basse continue avec Rudolf Lutz, le chant avec Hans-Jürg Rickenbacher et la direction chorale avec Raphaël Immoos. Depuis 2007, il y étudie la théorie musicale (Roland Moser) et la composition (Georg Friedrich Haas). Il y obtient son Master of Arts en 2011. Depuis quelques années, il consacre toujours plus de temps à la composition - Depuis 2007, Christophe Schiess enseigne au Gymnase français de Bienne. Il a toujours affectionné le chant choral. En 2005 et 2006, il a dirigé le chœur mixte de Nidau, de 2007 à 2010 le chœur paroissial de Nussbaumen (Argovie). Il est à la direction du chœur de chambre Jubilate depuis le printemps 2010. Mathias Steinauer was born in Basel and studied piano, composition (Robert Suter / Roland Moser) and music theory (Wolfgang Neininger) at Basel Academy of Music. From 1986 until 1988 – composition studies under György Kurtág, Budapest. Since 1986 – teaches music theory and gives courses in new music and composition at Zurich University of the Arts. 2004 – artistic director of the ISCM New World Music Days "trans_it". He has performed and/or lectured at various schools of music, symposia and festivals in many European countries, and in Azerbaijan, China, Brazil, the USA and Japan. Mathias Steinauer lives in Ticino. 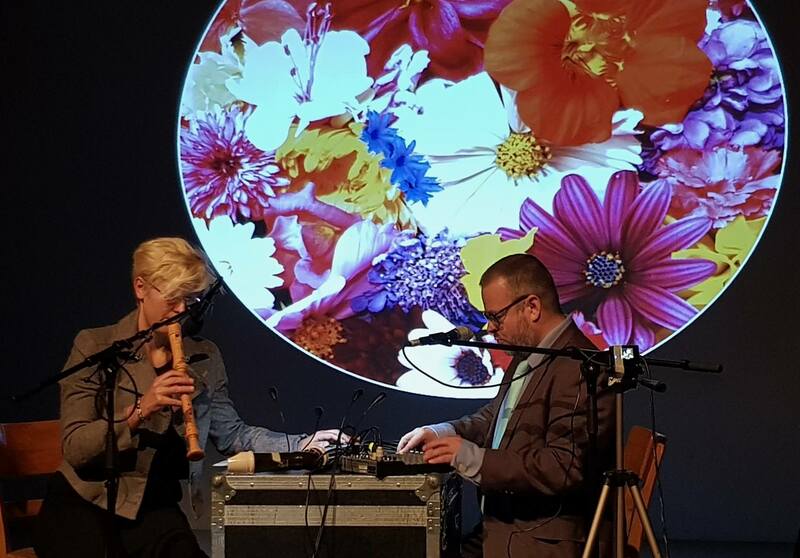 Extraordinary diversity describes the composer and multi-instrumentalist Ulrike Mayer-Spohn who plays the recorder (with a focus on contemporary music), as well as historical string instruments (fiddle and baroque violin). She studied composition and audio design with Erik Oña at the Studio of Electronic Music, Academy of Music, Basel, beginning to compose in 2007, and receiving commissions from the festival Forum Valais and the international New Music Days, Shanghai. Her work has been performed by the Stuttgart Vocal soloists, Ensemble Phoenix Basel, Vertigo, DissonArt, L'Arsenale, cool a cappella (1st Prize world choir games 2008) and her own ensemble Ums' n Jip in Switzerland, France, Greece, Italy, Russia, Australia, the USA and China, premiered under the baton of Beat Furrer, Mark Foster, Tsung Yeh, Jürg Henneberger and Filippo Perocco and broadcast by the Swiss radio. She was awarded the 1st Prize at the London Ear Festival Composition Contest in 2016, the 1st Prize at the Walter Ferrato Composition Contest in Savona, Italy in 2017, the 1st Prize at the Weimarer Frühjahrstage für Zeitgenössische Musik Composition Contest in 2017, the 2nd Prize in the composition competition Culturescapes 2010, 2nd Prize in the composition competition at the Bern music festival 2011, the Scholarship Award for 2011 at the Music Village Mount Pelion in Greece and the Call for Scores Award L'Arsenale Treviso, Italy 2011. In the ensemble Ums' n Jip she has undertaken research in the field of musical theater (chamber operas One, Two, Three, Four, Five), live electronic music and sound spacialization. She studied recorder with Ulrike Mauerhofer at the Musikhochschule Karlsruhe, with Conrad Steinmann and Corina Marti at the Schola Cantorum Basel before specializing in contemporary music and studying with Dorothea Winter at the Royal Conservatory in The Hague. From 2009-11 she studied for a specialized master's degree in contemporary performance at the HSM in Basel supervised by Jürg Henneberger, Marcus Weiss and Mike Svoboda and has taken masterclasses with Marion Verbruggen, Peter van Heyghen, Sebastien Marq and Gerd Lünenbürger. She studied baroque violin and viola with Martina Graulich and David Plantier and fiddle with Randal Cook in Basel. 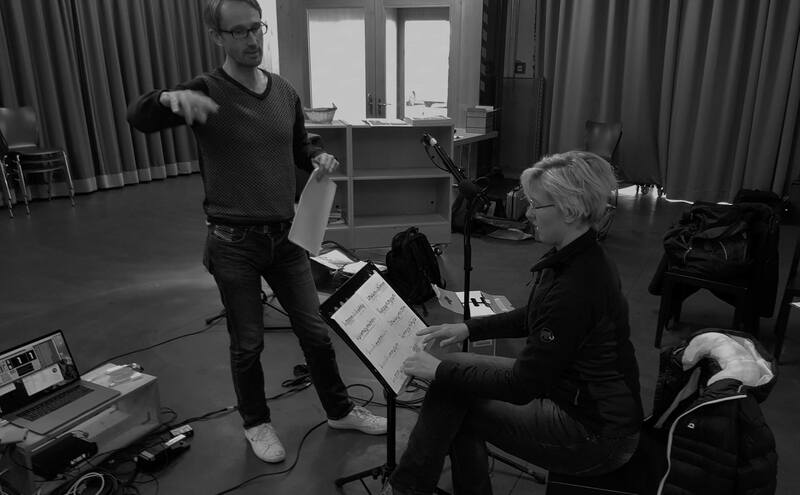 Ulrike Mayer-Spohn works with internationally leading composers and annually plays more than 20 world premieres dedicated to her, which she has recorded for the radio as well as VDE Gallo on CD. 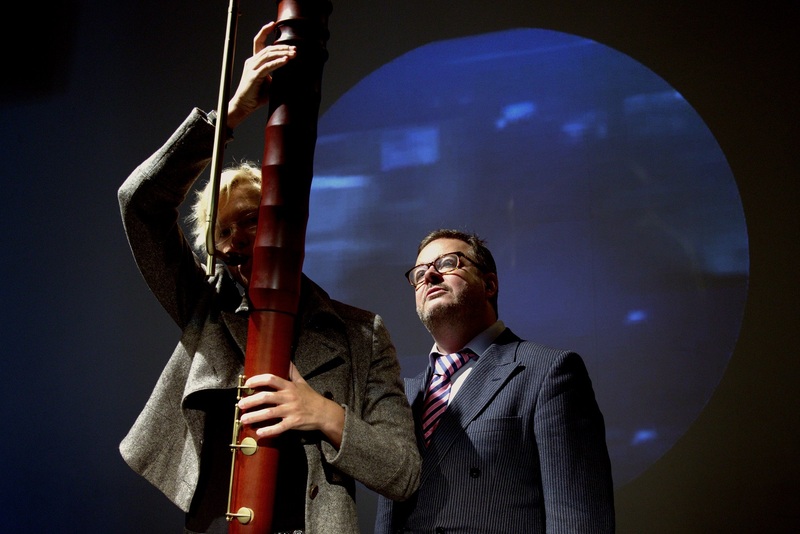 Together with the Swiss composer and singer Javier Hagen, she established the experimental new music duo Ums `N Jip for voice, recorder and electronics, which, alongside the Ensemble Modern, Intercontemporain and Kronos is one of the most active ensembles worldwide and in 2011 won the prestigious MusiquePro scholarship. Since 1999, Ulrike Mayer-Spohn has also performed as a recorder player, violinist, violist and fiddle player in specialized early music ensembles such as the Amsterdam Barok Compagnie, Freitagsakademie, Collegium Musicum Stuttgart, La Chapelle Ancienne, Musica Poetica, Muscadin and La Morra and has performed in Germany, China, the Netherlands, France, Spain, Italy and Switzerland. Javier Hagen is one of the most astonishing classical singers of his generation: new music, performance art and Swiss folk music rank equally in his repertoire alongside opera and early music. Hagen was born as Javier-Ignacio Palau-Ribes (JIP) in 1971 in Barcelona and raised on the Mediterranean and in the Valais Alps. He studied classical singing (both tenor and countertenor) in Germany, Italy and Switzerland with Roland Hermann, Alain Billard and Nicolai Gedda, and composition with Heiner Goebbels and Wolfgang Rihm. He studied Lied with Irwin Gage, Hartmut Höll and Ernst Haefliger and early music with Karel van Steenhoven and Kees Boeke. He has a four-octave vocal range. Hagen has worked with world-class composers such as Reimann, Kagel, Rosemann and Eötvös and leading artists from the worlds of concrete poetry and constructive art. Guest appearances have taken him to the modern music festivals in Donaueschingen, Zurich, Geneva, Lucerne, Karlsruhe, Amsterdam, Strasbourg, Bologna, Milan, Prague, New York, Hong Kong, Shanghai, Moscow, St. Petersburg, Adelaide, Riga, Avignon and Berlin. Alongside operatic roles such as Handel's Giulio Cesare, Zsupan (Kalman), Dardanus (Rameau), Stanislaus (Zeller), Bruno (Roesler), Toni (Kalman) and Pappacoda (Strauss), Javier Hagen has premiered more than 200 works, including operas 'à l'air en verre' by Daniel Mouthon 'eismeer' by Christoph Schiller, 'poem ohne held' by Regina Irman, 'esther de racine' by Boris Yoffe, 'The Madman's Diary' by Guo Wenjing, 'Marienglas' by Beat Gysin, 'Les Musiciens de Brème' by Wen Deqing, 'Keyner nit' by Mathias Steinauer, 'Ushba et Tetnuld' by Nicolas Vérin and almost all vocal works by Maria Porten. He has made more than 50 recordings and broadcasts for Swiss, German, French, Czech, Chinese, Mongolian, Spanish, Egyptian, Italian and Latvian radio and television. He won prizes at international contemporary music and composition competitions in 2001, 2004 and 2008 in Basel, Lausanne and Dusseldorf. In 2003, his distorted folk song arrangements "s´sch mr alles 1 Ding" were released on CD on the Swiss label "musiques suisses". His compositions, in particular the vocal works, are performed throughout Europe, Israel, China, Korea, Russia, Australia, North and Central America, by ensembles and conductors including Titus Engel, Ensemble Phoenix, dissonArt, Taller Sonoro, Basler Madrigalisten, Schweizer Jugendchor, Männerstimmen Basel, Philip Bride, Eliana Burki, Amar Quartet. In 2012, a selection of his graphic scores was shown at the prestigious Museum of Modern Art ‘haus konstruktiv’ in Zurich. At the European Youth Choir Festival 2012, Javier Hagen represented German-speaking Switzerland in the context of 'Swiss Composers meet Europe'. With Ulrike Mayer-Spohn, Hagen formed the experimental new music duo UMS 'N JIP, which, with over 100 concerts annually is one of the most active and prolific contemporary music ensembles around the world and winner of more than 20 awards, among them the prestigious scholarship MusiquePro. Javier Hagen, who speaks 6 languages, also directs the international contemporary music festival Forum Wallis, hosting Stockhausen's famous Helicopter String Quartet with Arditti in 2015. 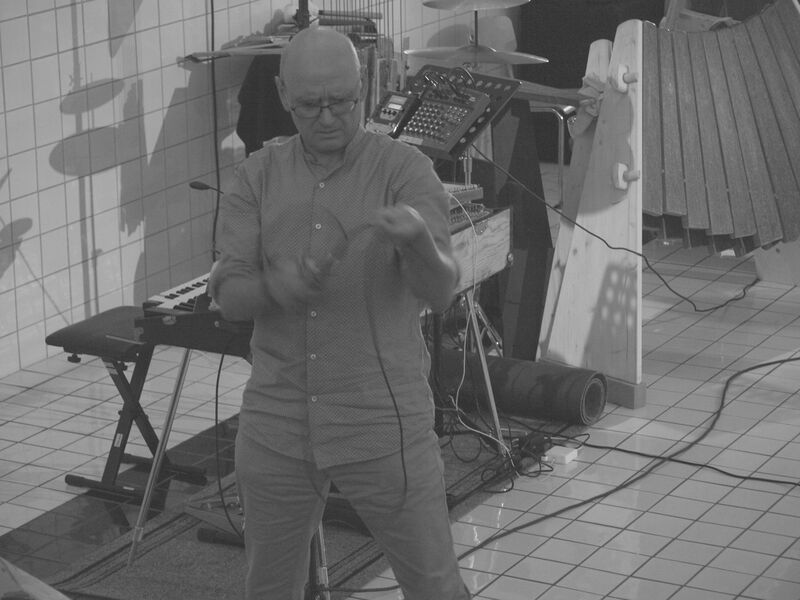 He is called as an expert on experimental music theater for the University of Arts in Bern, President of the Swiss Section of the International Society for Contemporary Music (ISCM Switzerland), of IGNM-VS, as well as a board member of the European Conference of Promoters of New Music ECPNM, Swiss Music Edition and Swissfestivals. He presents guest lectures at universities in Shanghai, Moscow, Adelaide, Thessaloniki, Barcelona, New York, Riga and Hong Kong. He is a jury member at national and international composition and new music competitions (a.o.ISCM World Music Days Young Composers Award, Bohol Int. Choir Competition Philippines) and a member of various committees on behalf of Valais as well as for the inventory of the cultural heritage on behalf of UNESCO. In 2007 he was nominated for "Walliser of the Year." In 2013 he was awarded the Prix Culturel de l'Etat du Valais. In 2017 he has been elected to the Academic Board of the Escuela de Invierno, the FNOBA Contemporary Opera Academy at the Teatro Colon in Buenos Aires.